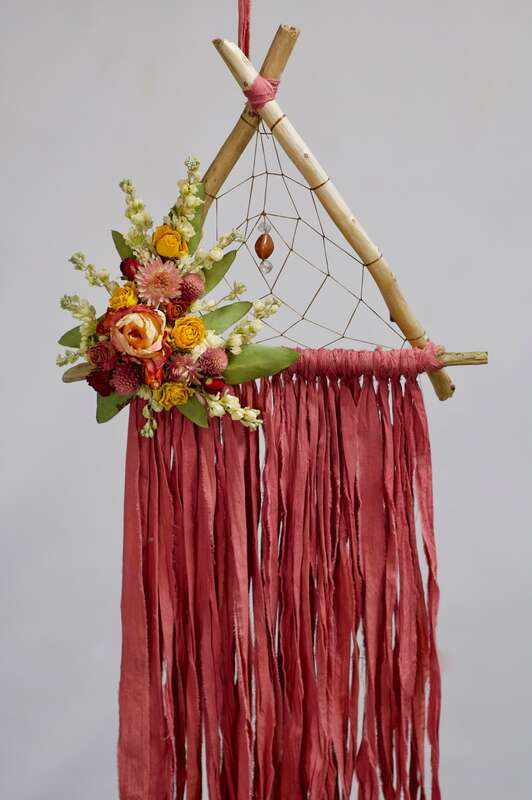 Handmade triangle dream catcher featuring natural wood pieces and dried flower adornments in shades of pink, orange, and yellow. 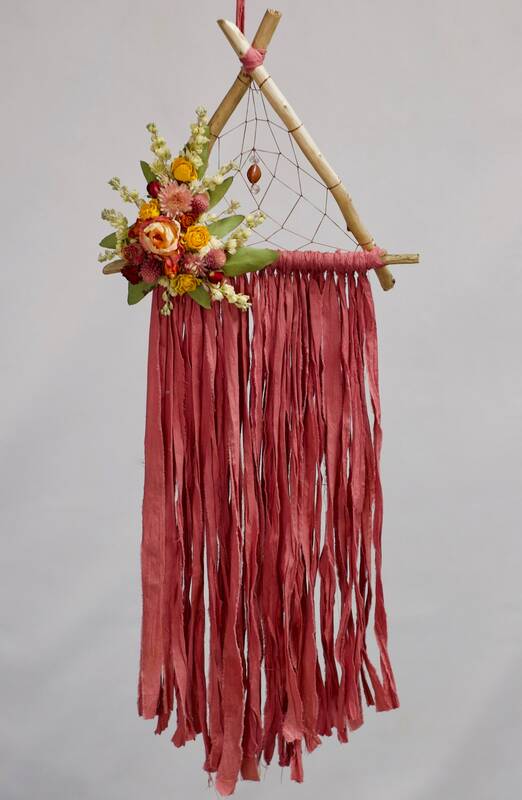 The driftwood branches are approx 12" and the total length from the top of the hanger to the bottom of the fringe is just over 30". This is a one of a kind piece- you will receive the one photographed above.